﻿Take 1 Tablet daily with food a few hours before or after taking any medications. 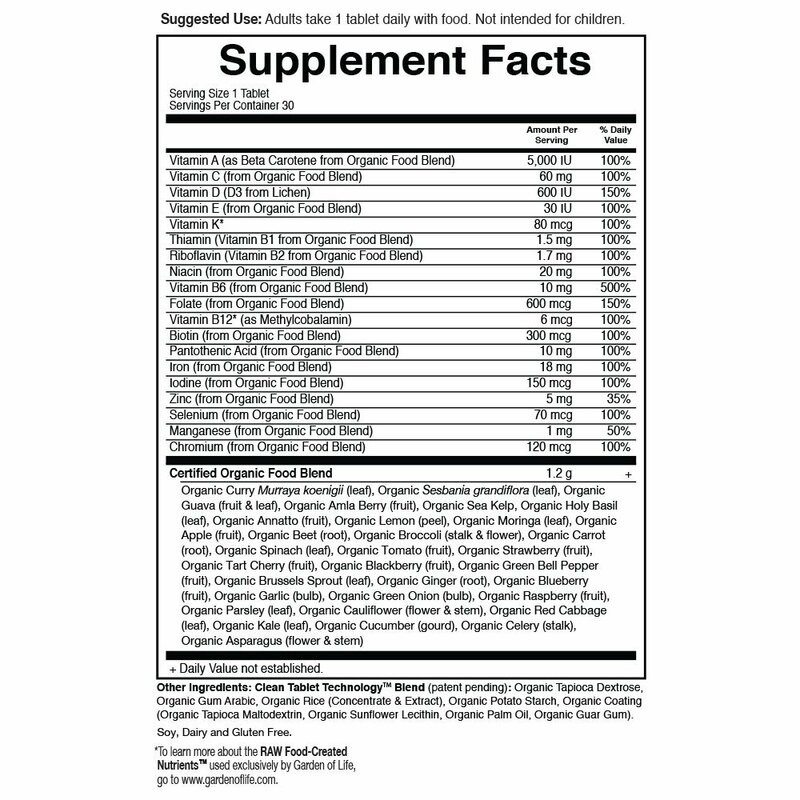 This product is an amazing quality and essential to my daily supplements. I love that there are no fillers or additives of any kind. Clean and simple ingredients put into my body. I could not ask for anything more! Thanks Garden of Life!